I have recently moved house. Still within the same city, just to a different suburb. Of course, when you move house, you need to get services relocated with you. Most of these were easy to do. The internet, however, was not. I called up iiNet (my ISP) on the 3rd of February, told them that I wanted to relocate and have the service activated ASAP. This is where all of the problems started. The first thing that needs to be done when activating a new DSL account is setting up the new phone line, even this was a challenge. The house I moved into is a subdevelopment of an existing block. The official address is number 110B, however it seems this is not the number utilities use to supply their service. The address they use is unit 2/110. It should be the same thing, but apparently it is not. Once the phone line was finally connected on the 10th of February (should have been the 8th), it was now time to start the DSL activation process. I called up iiNet again and they got the ball rolling. However, it seems they didn’t push said ball hard enough. I checked the online toolbox for the status of the connection and that said it should be up by the 18th of February. That day came and went without any indication at all that there was a service activated. I called iiNet again and apparently their automated system never actually put through the provisioning request. This, however, was not the worst part of the debacle. I was told when I called that an appointment had been made with Telstra to go to the exchange and connect my line to the iiNet DSLAM on the 23rd. When the 23rd came, I got a phone call from iiNet saying that all should be good; I should be online as soon as I got home. After finishing work and arriving home, I plugged in my router and had 8mbps ADSL1 sync. Apparently the slow speed is to be expected when you first connect and I was told that it would improve in a few hours. How wrong they were. About one hour after I first connected, the net just dropped out completely. The router wasn’t even trying to get a sync from the exchange. It was as if the cable was unplugged or the port on the DSLAM was deactivated. Once again, it was time to call iiNet. After hours of waiting on hold and waiting for callbacks, they told me that they had no idea how I even got online in the first place and that I hadn’t even been allocated a port at the exchange. This time they said that an appointment had been booked for the 26th. By now, iiNet had enabled customers to view all of the notes the customer service representatives have placed on a task assigned to the customers. I read some of these notes and just could not believe what they were saying. First, iiNet requested port number 5 on a rack 1 in the exchange. Telstra came back saying port number 5 on rack 10 is in use. Of course, this meant that Telstra weren’t going to do the work in the appointment. iiNet then replied with a rack and port combination that couldn’t possibly be confused, port 8 on rack 9. Telstra replied saying the work will be completed on the 4th of March. Well, the 4th of March came along. Once again, I got a call from iiNet saying that my service had been activated. When I got home, however, there was still no line sync. It was the exact same as it had been all along, not even trying to get sync. This is where I really started to get frustrated. According to their systems, my router had full sync. Again, hours on hold, waiting for callbacks. In the end a line fault was issued. The very next day I received a call on my voicemail (couldn’t answer the phone as I was driving) saying that according to their systems, I had sync and they were closing the fault. I was furious at this. To add insult to injury, the call queue was extremely long due to an outage in some exchanges. I did eventually get a callback from someone who understood that it is not actually working and the fault was reopened. I received an SMS saying that I would be online on the 9th of March. Again, the day rolled by, with no internet in sight. Also again, no DSL sync, not even an attempt at sync. I called up and according to them the line was fixed and that the only reason it wouldn’t be able to connect was that it was a faulty router. I told them that I had already tried multiple routers. I even turned my router off just to prove that it didn’t actually have sync. The demeanor of the customer service rep changed completely when I did this to actually believing me. So, once again, a fault was lodged. 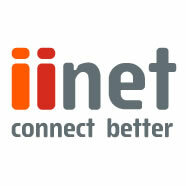 I was woken up this morning by a phone call from iiNet. The rep told me to take a look at my router. To my amazement, there was a line sync light! The rep then admitted that he was really embarrassed at what had happened and that it was a stupid oversight on their part. I managed to get the reason out of him. Apparently the MDF racks in the exchange each have specific names. It appears that the whole time during provisioning, they were looking at the wrong MDF rack. So, I am finally back online. From disconnecting at my old house on the 6th of February to reconnecting finally on the 10th of March. iiNet already credited me for the entire relocation cost plus one month for the downtime, they also offered me $40 credit today. During the entire time that I didn’t have DSL, I used my phone’s internet tethered to my PC. The problem with that, however, was that I only had 1GB of bandwidth per month. Not nearly enough. So I set up a spare server as a dialup router. It was hell at those speeds, but now I can rejoice at getting the fairly decent speeds of 15mbps down and 2.5mbps up.